The GRISLY universe is broad and layered covering story elements that run from the Old Testament Bible to centuries of historical mythologies to the urban legends of today. Many of these mysteries focus on the Supernaturals, a covenant of creatures pledged to do the evil bidding of the Grand Adversary as he plots to return to Earth. The Nephilim are the race of antediluvian giants briefly mentioned in the Bible (Genesis 6:1-4, Numbers 13:28-29) who are the forbidden offspring of the Fallen Angels and Earthly women. Their secret history is known by few and has alluded mainstream society for many years. The Wiccans of Olde are believed to be an ancestry line that deviated from and parted ways with the Nephilim. The Wiccans are the only known persons on Earth to have detailed knowledge of the ancient race of giants. 6:2 That the sons of God saw the daughters of men that they were fair; and they took them wives of all which they chose. 6:3 And the LORD said, My spirit shall not always strive with man, for that he also is flesh: yet his days shall be an hundred and twenty years. children to them, the same became mighty men which were of old, men of renown. 13:28 Nevertheless the people strong that dwell in the land, and the cities walled, very great: and moreover we saw the children of Anak there. Canaanites dwell by the sea, and by the coast of Jordan. After the great flood, it appeared that evil still persisted on Earth. The bloodline of man was not completely made pure and remnants of the Nephilim continued on in various tribal clans and grew in power over time. Atilla the Khan of the Huns. Vlad Tepes the Impaler of Romania. Hitler and the Nazi Third Reich. Idi Amin of Uganda. Pol Pot and the Khmer Rouge of Cambodia. These were the evil men who stood out in the daylight, but hidden in the shadows there were more. Folklore legends called them monsters and evil creatures of the night who fed on the despair of man; and in them the Nephilm bloodline proved to be even stronger. Five major Nephilim tribal bloodlines existed: Vampires, Lycanthropes, Mummies, Zombies, and Wiccans. Most of the Wiccans broke away from the others, practicing benevolent rituals that paid homage to Mother Earth. The few Wiccans who continued to rally toward evil were hunted down over the years and killed; their final tribal members burned at the stake during the infamous 1693 Salem witch trials. The remaining four bloodlines stayed hidden in the shadows for as powerful as they were, they were in the minority. Earthly man had numbers on his side. They stayed hidden in secret while paying worship to the Grand Adversary, the "endtime ruler" who would lead them to great rule over man. For centuries, they have plotted to return the Beast Lord to Earth. However, they were only four and that was not enough. They needed the willing, sacrificial "blood of five" along with other ancient evil artifacts if they were to be successful in their unholy cause. The origins of the Sigil of Baphomet are shrouded in mystery. The ancient coin exists in two different forms: one hundred Sigils used by the remaining Wiccans of Olde; and the other, a single duplicate Sigil used by the evil followers of the Grand Adversary. The benevolent Wiccans believe that the tainted Sigil duplicate has enormous power; and that when combined with evil magicks, "the blood of the five" (Wiccans, Lycanthropes, Vampires, Mummies, Zombies), and hosts of Earthly man and woman has the ability to re-create the Nephilim race here on Earth. Over the centuries since the great flood, the Wiccans of Olde have dedicated their lives to keeping the malefic Sigil hidden from the other Nephilim tribal bloodlines as well as others who worship and pledge loyalty to the Grand Adversary. The Sigils are easily differentiated by their basic designs. 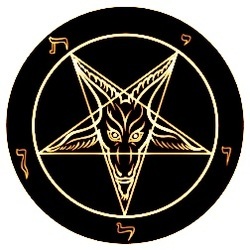 The Wiccan Sigils are upward-facing pentagrams while the evil Sigil duplicate is a downward-facing pentagram with a goat's head entombed inside the star. Note: The Agency's (e.g. Federal Bureau of Investigation) Greater Louisiana District office has come into recent possession of the ancient Sigil of Baphomet artifact and is now charged with its safe keeping. The Apocalypse of John is full of dreams, visions, and mysteries that are open to varied interpretation: the unveiled revelation, the return of the Grand Adversary, the end of all ends, the final battle between the Beast Lord and man, and the disclosure of "the anointed cherub that covereth." 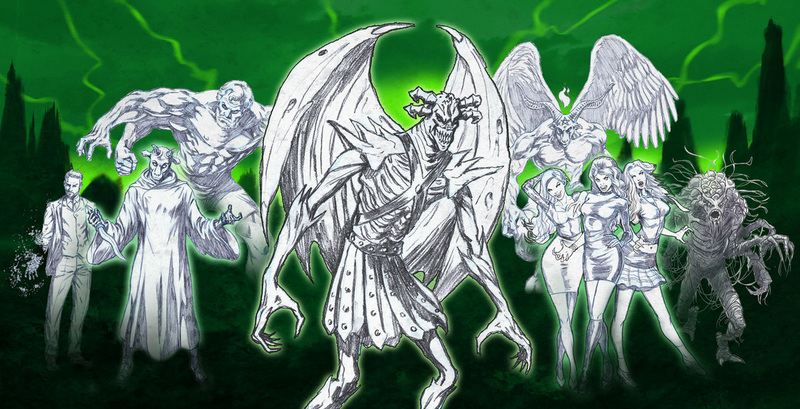 Everything begins with the Grand Adversary and his plans to recreate the nefarious Nephilim race to enslave man and whether or not the Anakim giants are a foreshadow of pestilence, war, famine, and death on Earth. Many mysteries surround the five young amphibious women that the news media have labeled Gill Girls. The general public first became aware of their existence on All Hallow's Eve, day 305 of the leap year 2008, after their unprovoked and brutal attack of a pet store in Lake Charles, Louisiana. Newspaper and TV headlines called the attacks "grisly" and listed one homeless man and thirty-five dead animals as victims in their vicious attack along with thirteen other fatalities in the ten day period that followed. Strangely enough, only Carolyn Bronnicke was ever captured and taken into custody by the FBI in the investigation [note: Ms. Bronnicke was later released after insufficient evidence to connect her to the murders]. The five Gill Girls (Carolyn Bonnick, Diana Frosby, Kelly Bastor, Stephanie Paris, and Tanya Watkins) were each born on February 29, 1988, making them what is known as "leapers" (e.g. leap year babies) to those cultures who follow the Gregorian or international civil calendars. This date is significant as it marks a time-unit in which many supernatural phenomenon are known to occur. With a 2/29/88 birthday and being leapers, the Gill Girls would be "five years of age" in 2008, matching the age listed in the Grufti book of prophecies of the mysterious fifth species of the "blood of five" who would help give rise to the Nephilim's return to Earth. The Wiccans of Olde have long debated the book's logical interpretations with many clan members believing that their defection of worship/allegiance to the Grand Adversary as proper equity and sufficient action to thwart the infamous prediction. Only time can tell whether or not the Gill Girls are directly related to the end of days apocalypse forecast in the Grufti book of prophecies. For the nonce, both Gruftis and Wiccans argue their sides while FBI scientists continue to research the catalyst which mutated the Gill Girls from their human states. 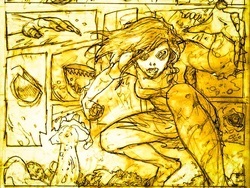 Conspiracy theorists have long speculated the Gill Girls' event-origins, with the most frequent explanations inferring that they are: (a) top-secret genetic breeding experiments by the government gone awry, (b) outcast sorority girls with fungal-skin infections from their exposure to toxic swamp waters while skinny dipping, (c) body-possessed hosts of creatures from a parallel dimension, (d) the early scouts of an alien race with plans to invade and subujgate Earth, (e) a mutated homo-sapien subspecies resulting from the reemergence of dormant DNA virus-strains, or (f) the deformed offspring of forbidden Wiccan/Grufti interbreeding. Centered within the boundaries of the Bermuda Triangle is the small island that supernatural occultists have labeled Isle 666. It is their belief that many of the supernatural creatures whom survived the Great Flood have made this mythological landmass their home. These creatures were the offspring of Fallen Angels and Earthly women, once feasting on humans prior to the Great Flood. The few that survived the deluge were forced to retreat into the shadows and faraway locales as they were hunted to near extinction by man. Their remaining tribes were severely outnumbered and the island became a secret home to the monsters. They supernatural creatures have attempted to use a combination of turbulent storms and a dangerous coral reef to surround the island, protecting it from detection and fortifying it against mankind. Isle 666 is often refuted by scientists as an explanation for the many missing ships and aircraft that have disappeared in the region. 5:18 Let thy fountain be blessed; And rejoice in the wife of thy youth. Many interpretations have been extrapolated from the above passage. Having obtained the ancient maps of Prestor John, business magnate Sir. James Leigh Bearden and his wife Mirka have searched for the fountain for over twenty years as a means to revitalize the former's life and grant him immortality. They have interpreted the passage to mean that only a man and wife, together, can drink of its fabled waters. It has been rumored that the secret Overlord of the Gaborchend terrorist cult has six fingers (e.g. two opposable thumbs) on his left hand and that the various monks of his inner circle all have the "Baphomet Claw" tattooed on their left inner forearm as a sign of loyalty to his rule. It is also speculated that this reoccurring tattoo image is a map that identifies the hidden Baphomet Crossings that serve as portals for movement between Earth and the Underworld. The Wiccans of Olde have foretold that the Six Fingered Man will eventually become the human avatar that enables the Grand Adversary to return to Earth. Two individuals that have been frequently associated as the mysterious Gaborchend Overlord are Sir James Leigh Bearden and Weston Gasher. Grufti - German masculine noun. (genitive Gruftis, plural Gruftis). a (derogative) old man or old fogey. a member of the goth subculture. The above Grufti definition does not give justice to the East German Goth tribes from which it originates. During the 5th and 6th centuries, the Goths separated into three tribes: the Visigoths, the Ostrogoths, and the Gruftis. The history of the Visigoth and Ostrogoth tribes is well documented. They both established powerful successor states to the Roman Empire they helped bring down. However, history has not been so kind to the lesser-known Gruftis as their story is unknown to many. The Gruftis were the elder statesmen of the East German Goth tribes who were too old and weak to engage in battle against the armies of the Roman Empire. Without food, shelter, or protection, the Guftis were left to fend for themselves during barbaric times. They took refuge where they could and ultimately sided up with other nomadic tribes like their own to survive. One of these tribes were a band of Turkish gypsies (with a strong ancestral lineage to the Wiccans of Olde); and together they became one clan who protected and became socially dependent on each other over the many centuries to follow. Today, the Grufti are male cryptwalkers who frequent old graveyards, ancient cemeteries, and other areas known to have strong supernatural links to the dead. In Louisiana, they are often called "Grufti Guys" and they are elder sages known for their commune with ghosts and the spirit world as well as their close associations and training of young female Wiccans. The Grufti practice a Ouroboros ideology and believe that their spiritual union with Wiccans creates a "golden meal" or desirable middle between two polarizing and extreme entities (e.g. Gruftis are primarily old and male while Wiccans are primarily young and female). They see themselves as complementary opposites with the ability to balance, manipulate, and control the powerful energy flows of the other. Ironically, Wiccans have yet to fully embrace this circular ideology. They often take the simple view that the Grufti are "dirty old men with strong sexual appetites for young women." Legend has it that the Wiccans of Olde split into two tribal clans: (1) Wiccans who continued to practice dark magic and pledge loyalty to the Grand Adversary and (2) Wiccans who dedicated their lives in worship of the primal mother goddess Gaia, personifying Earth. Wiccans from the former group were hunted down over several centuries and finally driven into extinction during the Salem witch trials. Present day Wiccans are benevolent and now go by the name of "Wikins" as stated in their online authorative database of sacred writings: Wikipedia. Copyright © 2010-2015 GRISLY. All rights reserved.